Cooked, arugula is a little less bitter and a little more digestible than it is raw. 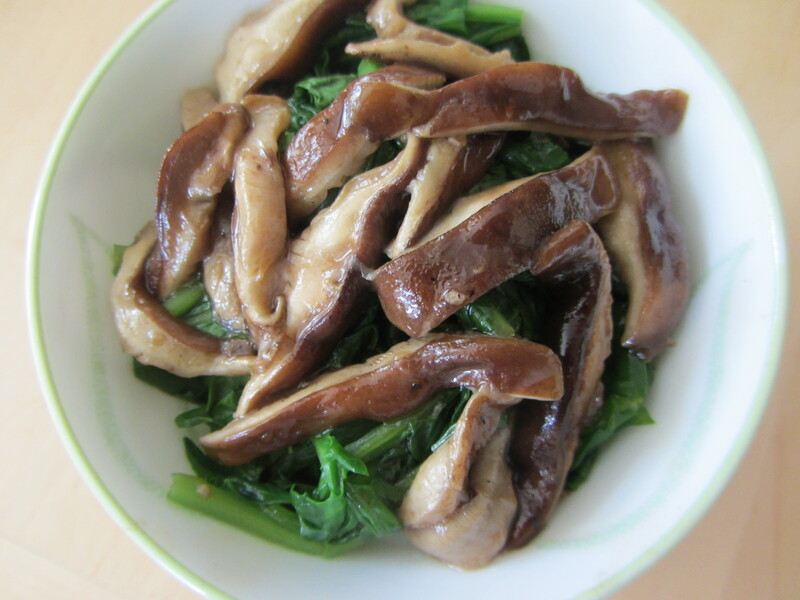 The sautéed shitake mushrooms add a delicate woodsy flavor along with protein and many healing properties. 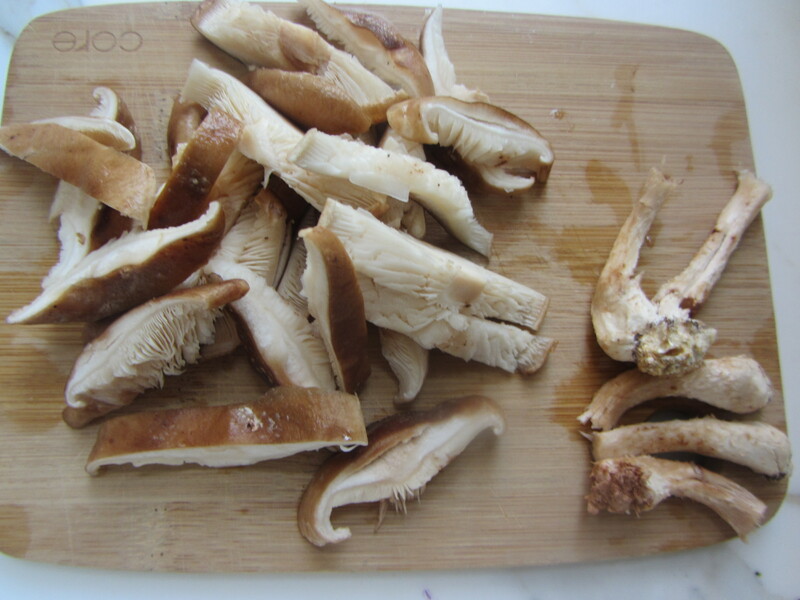 In Japan shitake are touted for being energizing and longevity-producing. 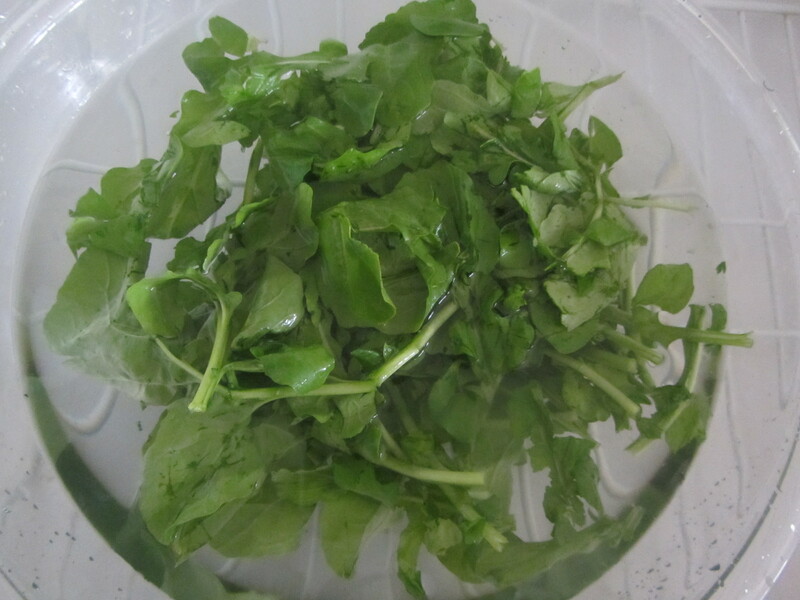 Process Wash the arugula and the mushrooms well by immersing them in water, separately. Cut the stems off the mushrooms, leaving just the caps. Slice the caps into quarter-inch-wide strips. Heat a cast iron or stainless steel skillet for about 40 seconds on a medium flame. Add the olive oil and allow it to heat for about 30 seconds. 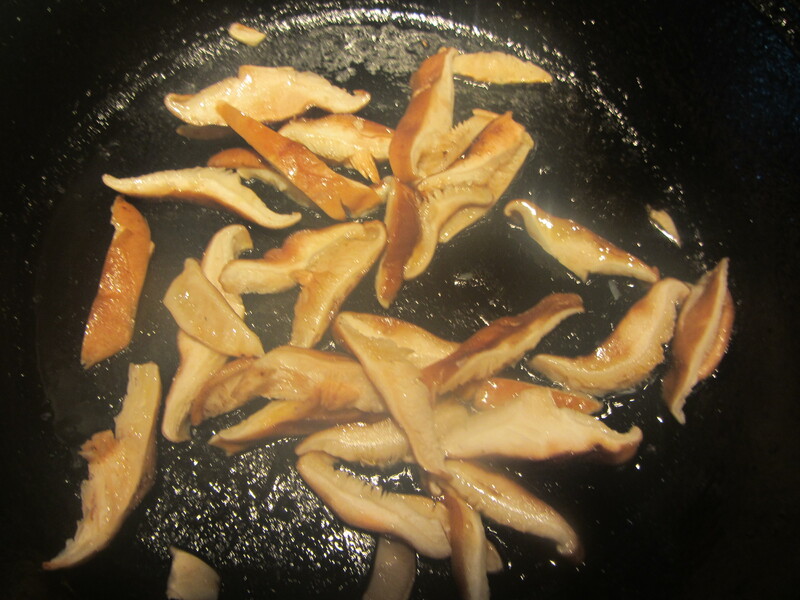 Add the sliced shitake mushroom caps to the pan. Allow them to soften, sweat and brown lightly. This should take about 5 minutes. Right before removing them from the pan add the soy sauce. Remove shitake from the pan and set aside. In the meantime place about a half inch of water in a medium-sized stainless steel skillet; bring it to a boil. 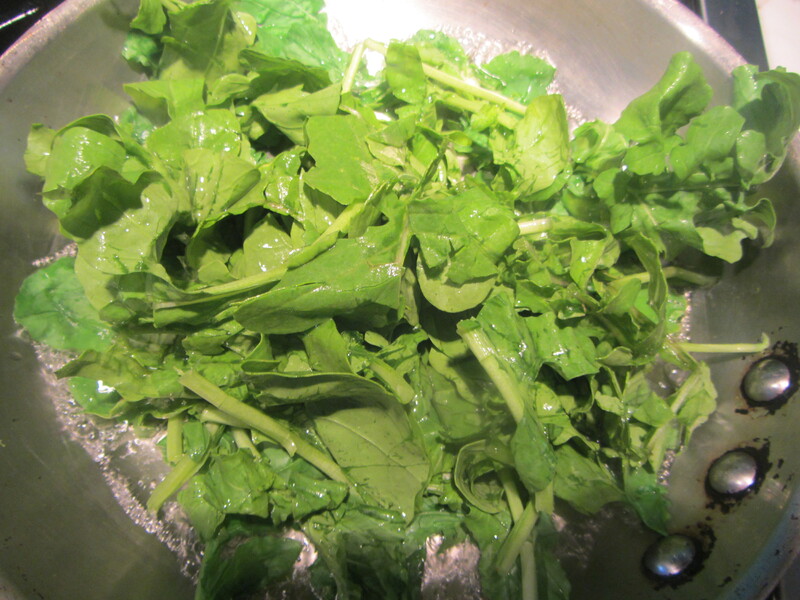 Add the arugula to the boiling water. It should wilt almost immediately. When it turn s a brighter shade of green and is all softened, remove from pan. Arrange in individual bowls or on plates. Top with the sautéed shitake mushrooms.